Finding fame as the king of the bobbysoxers, Frank Sinatra became a respected actor in such films as "Man With The Golden Arm" and "The Manchurian Candidate". The sixties found him hamming it up in Vegas with his Rat Pack buddies Dean Martin and Sammy Davis Jr. and doing films like "Ocean's Eleven". 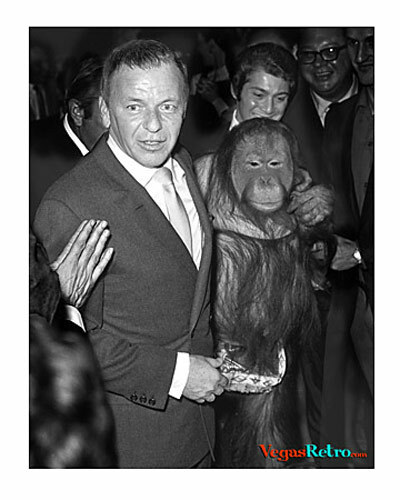 This photograph is a "One of a kind" taken at Sinatras birthday party at Caesars Palace in Las Vegas in 1968.